If you are a commercial customer and your regular commercial container pickup day is already on Saturday, there will be no change. Our offices and the Transfer Station will close at noon on Christmas Eve and New Year's Eve. 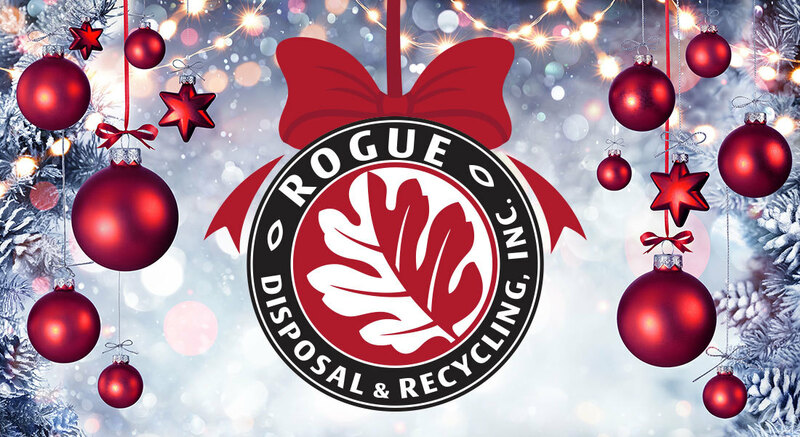 Our offices — and the Transfer Station — will also be closed on Christmas Day and New Year’s Day. Questions? Give our holiday hotline a jingle to hear recorded schedule information: 541.773.3069.